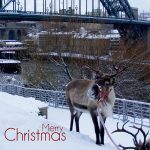 North East Guided Tours make an ideal and unique gift. Whether you’re buying for yourself, a friend, visiting family, colleagues, clients or a school trip, take a guided look at our glorious region with North East Guided tours. 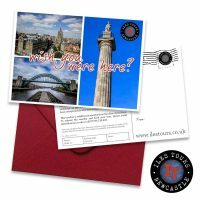 Buy Gift Vouchers for North East Guided Tours right here at North East Gifts. Join our touring partner, Iles Tours, for a tour of the magnificent city of Newcastle Upon Tyne… be it the Historical Tour, which takes you on a journey from the past to the present, the Cultural Tour, focusing on the successes of the city’s sons and daughters, the Gory Tour, with its dark murderers, necromancers and body snatchers, or the Innovators Tour, looking at the North East people who have change the world!